107 square meters provide space for your time in the FOREST GOOD. Designed for up to 4 people, we offer you with its own sauna in the bathroom, an outdoor bath on the covered terrace space to relax and breathe. The architecture, which focuses on valuable visual axes, dissolves the space to the nearby Gutswald. The nature in view, whether from the sauna, from the bedroom or from the cozy couch - always close to the Gutswald, the seasons and yet surrounded by a room with a large kitchen, a roaring fire and cozy reading corners. We invite you to the "Room for VALUABLE TIME - FORESTGUT of Schnurbein"
Final cleaning: once per object included in the price (compulsory). Sauna: once per object included in the price (compulsory). Interim cleaning: once per object costs in the amount of 45 EUR (optional). Cot: to rent once per object for 18 EUR (optional). Bed linen: once per person included in the price (compulsory). Towels: once per person included in the price (compulsory). Pet: per object and day costs 18 EUR (compulsory). Interim cleaning: per object and day costs in the amount of 45 EUR (optional). Electricity: included in the price per person per day (compulsory). Tourist tax for children (6 - 16 years): per person and day costs in the amount of 0. 8 EUR (obligatory). Visitor's tax / tourist tax: per person and day costs of 1. 6 EUR (obligatory). Breakfast basket (content is sufficient for 3 breakfasts): per person and week costs of 20 EUR (optional). Schlossau is located on a rock Forstgut right in the Bavarian Forest, surrounded by forest and the river 'Castle Auer Ohe which winds around the rocky outcrop. 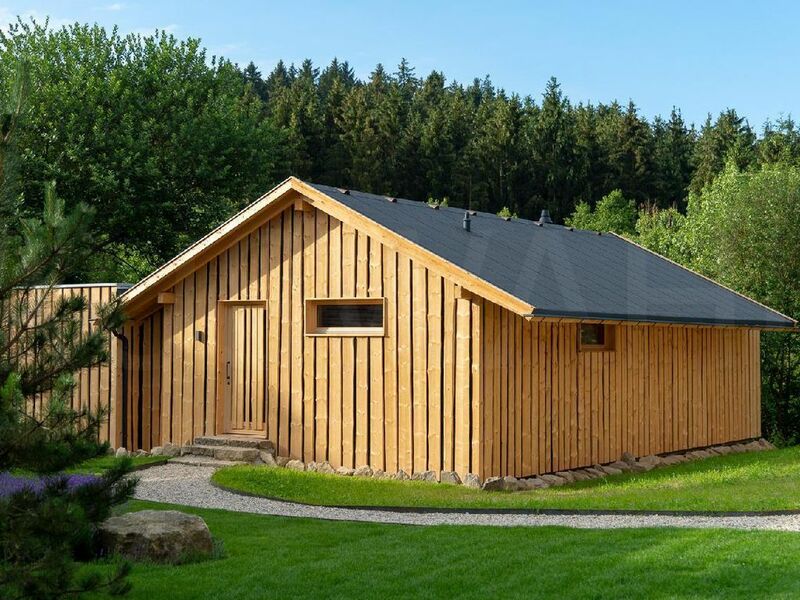 The Forstgut offers the ideal combination of rest and relaxation, with a range of leisure facilities in the immediate vicinity. In Forstgut made hunting and fishing, of course, they can go hiking, jogging and cycling. In winter, curling, or skate or enjoy horse-drawn sleigh, the landscape. The only 15 minutes distant resorts 'Rusel' or 'Geisskopf' offer Skialpinfahrern numerous options of varying difficulty. Cross-country skiing on groomed trails is also in immediate at the 'Rusel' or in Bischofsmais, a beautiful niederbarischem place 10 minutes away. On 'Arber' and also at Bretterschachten there are further fantastic skiing. Cot (once per object, costs in the amount of 15 EUR). Sauna package for outdoor sauna for 2 persons (per property per week, the tenant bring 98 EUR).